The Summer Crush Pool Party was a Splash and a Half! — Is Your Boyfriend in the Band? The Summer Crush Pool Party was a Splash and a Half! We stepped inside a pool paradise created by our pal Neal Breton and it was GROOVY! Picture from a SLOTribune article. Thanks Chris Gardner for filming us! We felt like real rock stars. When our pal, local San Luis Obispo artist Neal Breton, hit us up about creating a pool party set crafted in the spirit of his colorful California paintings, we were all in. It only took two months and a bunch of dumpstered/borrowed cardboard and a bout 30 cans of spraypaint to create a neon paradise at Sally Loo's. Thanks to Neal for the rad idea, Chris Gardner for filming, Sally Loo's for having us (and making adult ice pops that were so good), Bessy the Foto Bus for taking sweet pics, true homie Jennifer Hix for helping us paint this mess, and DJ Mano Gil for spinning records. The palm trees turned out better than we could have even imagined...! 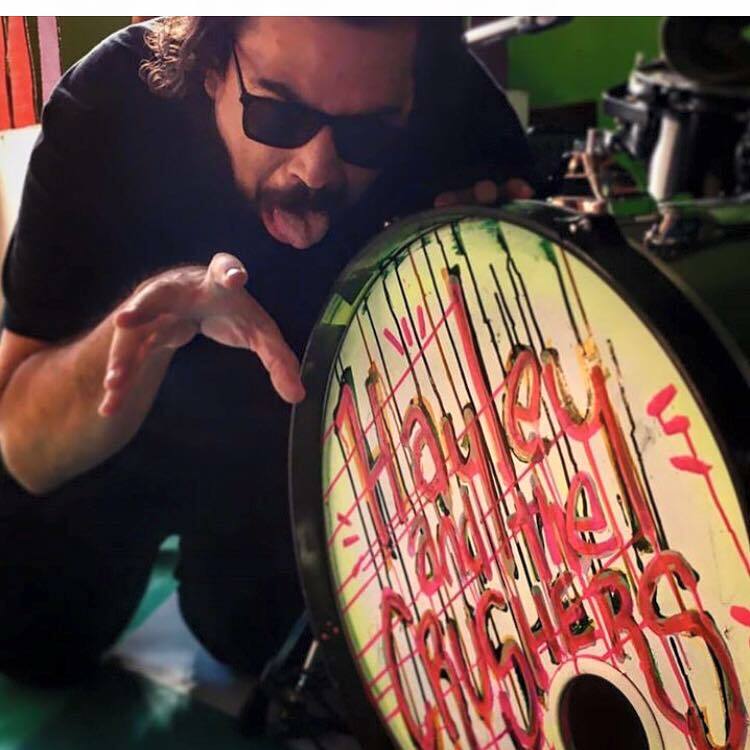 Gabe Crusher got his drum a makeover just in time for the gig! #1 Beach Goth LENA RUSHING! Neal Breton and his art. It came from the dumpster and it returned to the dumpster, just like the best art should. 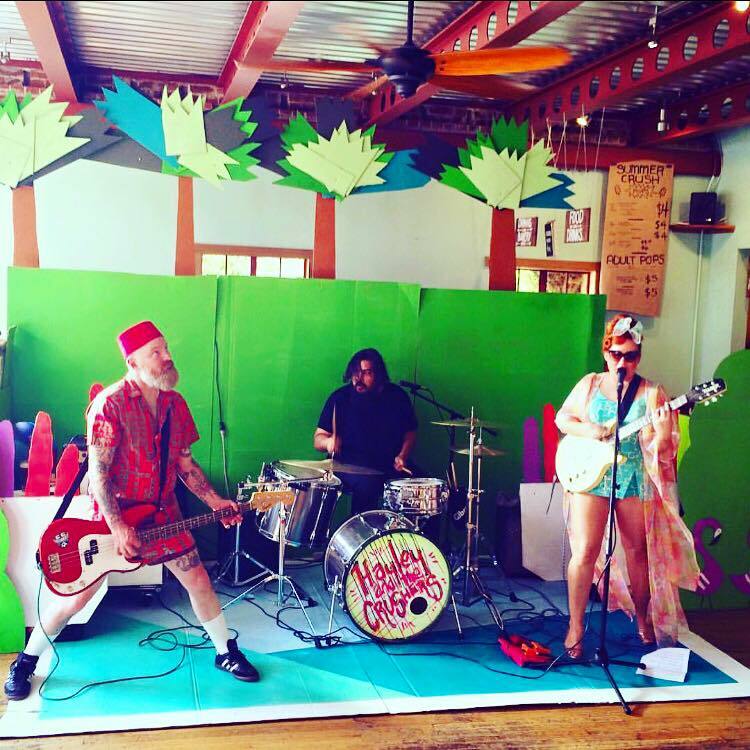 Jenn Hix and Hayley Crusher work with Neal Breton at The Bunker aka THE SANDLOT to create the pool party weirdness!